Aruba! This island’s moniker is “One Happy Island” which lives up to its name because the only saddened faces on the island belong to the tourists who are about to fly home or return to their cruise ship. 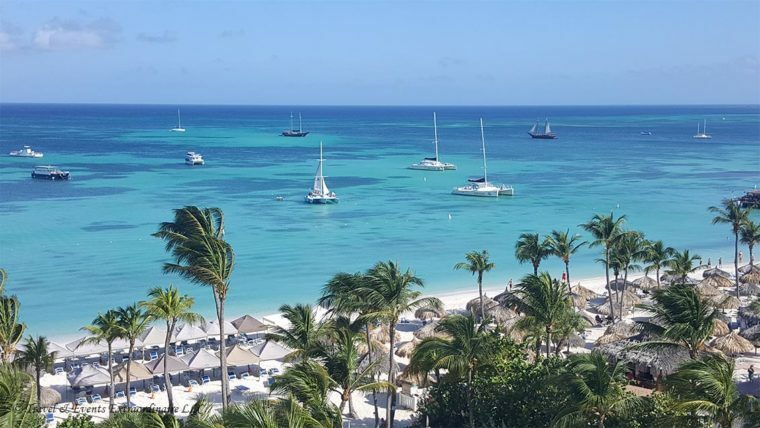 But, before travelers leave, they should experience the crystal clear, warm waters of Aruba to try a combination of snorkeling and scuba diving aptly called Snuba, which can be done on De Palm Island. So, as we launch the first post of Travel & Events Extraordinaire’s blog, we will take you down a path of various destinations while highlighting features specific to each one location. Oh, but before we depart from Aruba, let us not forget to mention one special way to spend the day. Rent a car and drive down to Baby Beach on the Southern side of the island. You will thank me later. On your way back, you will pass through a town called Savaneta. This is where you will want to stop for the most romantic experience of a lifetime! Visit https://www.flyingfishbone.com/ and make a reservation for 5:00pm at the Flying Fishbone upon arrival on the island or even before you leave your home. Arrive early and asked to be seated in the water. That is all we are going to say lest we spoil it for you! Little nuggets of travel savvy information is why entrusting your travel and vacation planning with a well-traveled, knowledgeable, reputable, professional travel agency is the key to unlocking unknown facts that can turn your mediocre vacation into a well-curated experience filled with memories! As Aruba Certified Experts, our agency is equipped to plan an extraordinary time for you using industry partners like Southwest Airlines, whose weekend non-stop flights take 4 hours and 30 minutes from Baltimore-Washington International Airport (BWI) and can have you on the powdery-white sands of Palm Beach or Eagle Beach by 2:00pm staring into a sea of blueness!